It takes a certain level of talent just to make it to the National Basketball Association. It takes an even greater level of skill to reach superstardom. Those who get to that point find themselves in rarified air. Yet if there’s anything we’ve come to realize over the years, it’s that for every superstar, there are a dozen more quality, albeit limited, players who find themselves just as important to a team’s success. We call these individuals the hustle players; the ones who do the dirty work that’s important, but not recognizable enough to warrant the acknowledgment. It used to be that the value of these folks was seen through the eye test. However, it appears the time has come to change that. According to ESPN, the NBA used the Las Vegas Summer League to install a pilot program used to track “hustle stats.” Anything from contested two-point and three-point shots to deflections, loose balls recovered, and charges taken will be put into a formula to determine which players hustled the most during any given game. For once it appears we’ll finally be able to measure a player’s heart. Although it’s not as if individuals in the NBA don’t recognize how crucial these plays are. With the NBA finally opting to take the nitty and gritty plays and turn them into statistics, we’ve decided to recognize some of the individuals in the game today who best represent this particular category. Therefore, in our opinion, here’s a look at the top five hustle players in the NBA today. 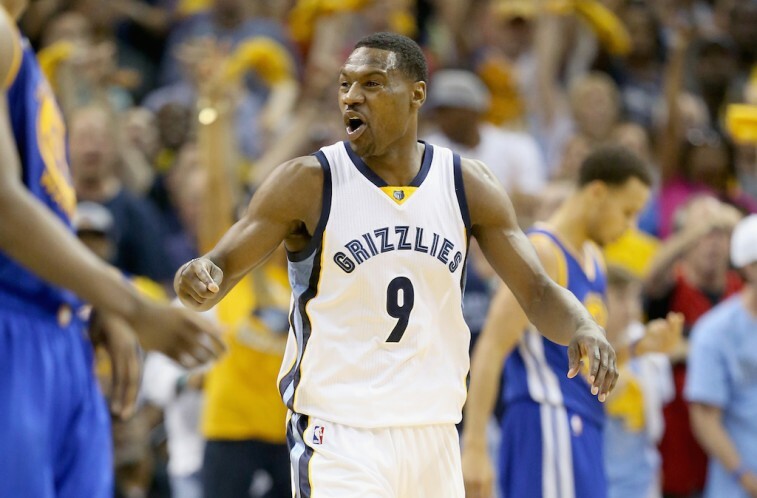 Tony Allen isn’t going to wow you on the offensive end of the floor. That’s not where his specialty lies. No, the Memphis Grizzlies shooting guard makes his money as arguably the best perimeter defender in the entire NBA. He’s smart, patient, and confident in his ability to dictate a game by shutting down some of the game’s premiere scorers. Allen defensive ability has even earned high praise from one of the best to ever step on the floor: Kobe Bryant. It’s for all of the above, that Tony Allen has been named to NBA First-Team All-Defensive three times in his career. When hits the hardwood, you know what to expect — toughness, pressure, and hustle. At 6-foot-1, 180 pounds, Patrick Beverley is far from the biggest guy in the National Basketball Association. However, based on the way he plays, you’d never know it. The Houston Rockets guard never takes a play off. He’s a tenacious defender with an old-school physicality. He scrapes and claws and gets in his opponents’ heads. Coach Kevin McHale loves this kind of player — Beverley’s his kind of player. The 26-year-old out of Arkansas does the dirty work and thrives in that role. He pressures the ball, fighs around screens, and grabs rebounds on both ends of the floor. He’s such an important part of the Rockets core, the team awarded him a four-year, $23 million contract extension despite the fact that he tore a ligament in his wrist at the end of the 2014-15 season. 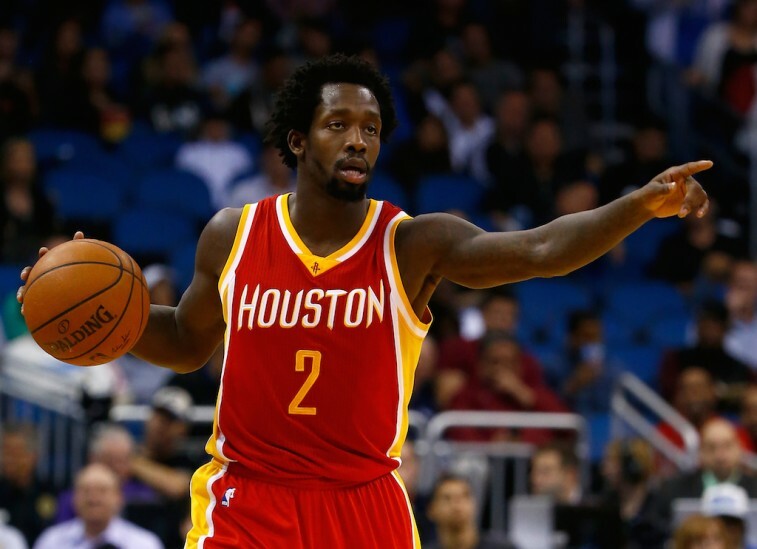 On account of his unlimited hustle, there will always be a place for a guy like Patrick Beverley in the NBA. 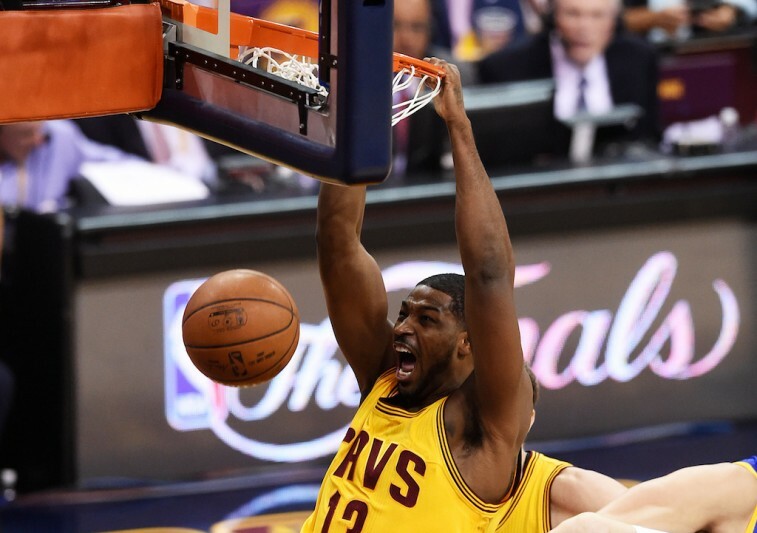 Anyone who watched the Cleveland Cavaliers make an unlikely run to the NBA Finals, realized how vital power forward Tristan Thompson was to the team’s success. He’s an extremely hard worker, ferocious on the glass — averaging 4.4 offensive rebounds and 10.8 total per game in the 2014-15 postseason — and a team-first player who knows his role and is completely content with it. If this isn’t a perfect example of a top-notch hustle player, then we don’t know what is. 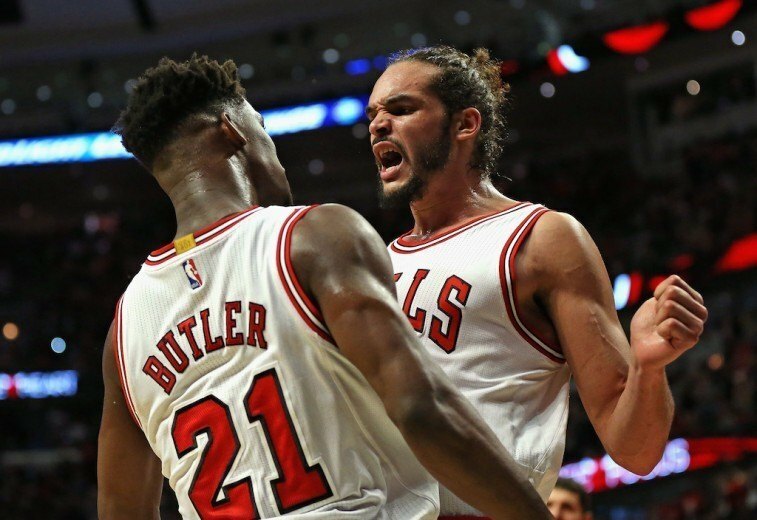 Joakim Noah certainly isn’t in the NBA because his shot looks pretty. He’s in the league because he rebounds, defends, dives on the floor, takes charges, and lays his body on the line night in and night out. He is the perfect glue guy on account of his energy, intensity, and tireless motor. Noah’s unrelenting style has earned him two trips to the All-Star Game, three NBA All-Defensive team selections, and the 2013-14 NBA Defensive Player of the Year award. 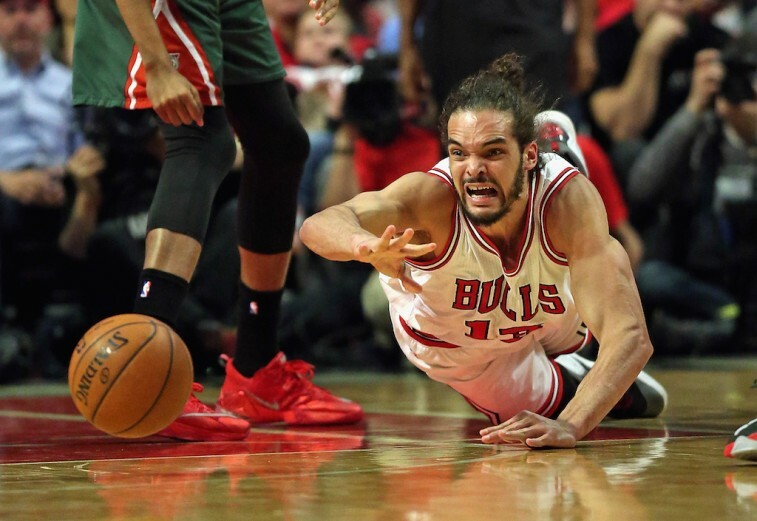 In the end, his competitive spirit and all out hustle makes him an invaluable member of the Chicago Bulls. In just one postseason, backup guard Matthew Dellavedova went from an unheralded role player to an unlikely folk hero. He was the first one on the ground for loose balls, he pestered MVP Stephen Curry to the point where people actually thought he could be contained and, most importantly, he gained the respect of the best player on the planet. When Dellavedova was accused of being a dirty player, LeBron James didn’t hesitant to stick up for the scrappy Australian. Some basketball players are fortunate enough to have the kind of incredible talent that turns them into superstars. Others are less physically gifted and therefore have to scrap and claw for every inch; they have to fight for their professional survival. 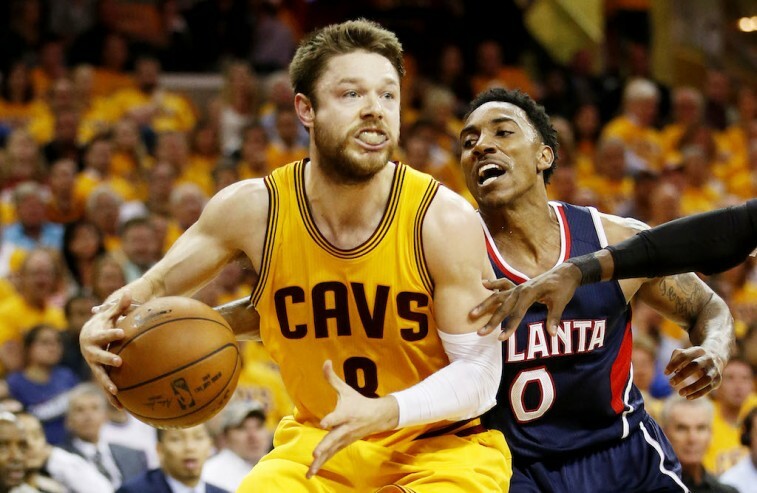 Matthew Dellavedova is part of the latter group. And that’s why we root for him.